Exceptional and meticulously maintained best describes this fabulous 4100+ sf, 4 bedroom, 5 1/2 bath, 5-car garage residence with golf course views in the highly acclaimed gated golf community - The Oaks Club. 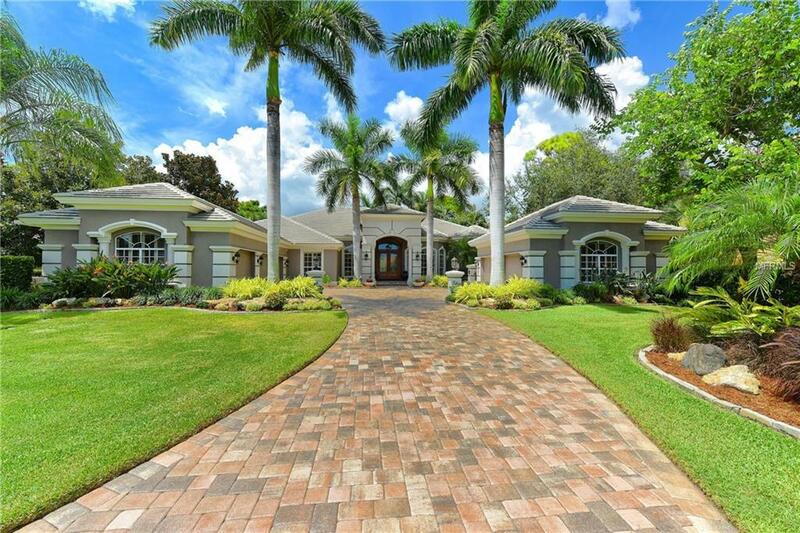 A serene and private setting, with golf course views and fabulous curb appeal. The gorgeous mahogany double doors welcome you to volume ceilings, formal and casual living spaces including a separate coffee/wine bar, fine detailing and features throughout. The thoughtful design, built for entertaining and enjoying family. Offering 18 Jerusalem marble floors, custom crafted built-ins, ceiling details with crown, top line appliances, solid wood cabinetry and more. A luxurious master retreat with three walk-in closets, dual vanities, separate whirlpool tub and walk-in shower. 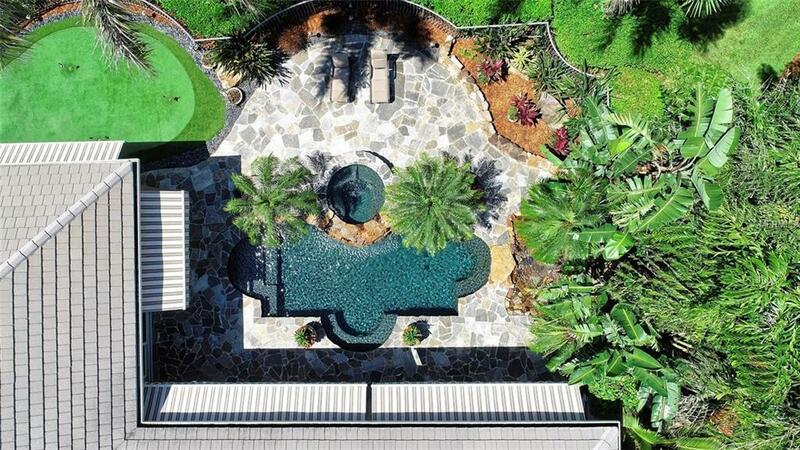 A truly extraordinary 3000 sf outdoor area with summer kitchen and stunning Lucas Lagoons designed pool and spa with 14 wide natural rock wall and waterfall, retractable awnings, private hot water shower, and your own 4-hole putting green will surely give you an envious tropical resort lifestyle. Updated with impact glass and sliders, fresh paint in and out, generator, water filtration system and amazing garage space with storage. The Oaks Club offers an elite staff and service level with tennis, swimming, fitness center and dining venues. Social or equity memberships available. Full feature sheet available.